An advanced PDF editor and converter. Give your users a simple way to do more with PDF documents, and get advanced security while reducing the cost and hassle of managing your PDF software. From the most trusted name in PDF, Acrobat XI software makes it all possible. 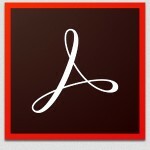 Here are the Top Reasons to buy Adobe Acrobat XI. Get an integrated Acrobat toolbar for popular Microsoft and browser apps to quickly turn documents and web pages into high-quality PDF files, or create PDF documents from any desktop app that prints. Easily correct, update, or adjust text and images—right in your PDF file. Build PDF or web forms* in minutes with the new, included Adobe FormsCentral desktop app (available only in Acrobat XI Pro). Automatically gather feedback and approvals in one place with shared online reviews. Simplify everyday tasks with Adobe® Acrobat® XI Standard software. Easily create and share PDF files that can be viewed reliably on computers, tablets, and smartphones. Edit PDF files intuitively within Acrobat or convert them to Microsoft Word or Excel formats. Electronically sign documents yourself or get them signed by others. Make your job easier every day with Adobe® Acrobat® XI Pro software. Quickly create PDF files or PDF Portfolios. Intuitively edit PDF files from within Acrobat or convert them to Microsoft Word, Excel, or PowerPoint formats. Build forms in minutes with the new, included Adobe FormsCentral desktop application. * And use guided Actions to automate document preparation. Now you can support employees who want to work anywhere, on any device. With an Acrobat subscription, end users get access to online services, so they can convert and export PDFs from any Android or iOS device. When you subscribe through VIP, you can download, deploy, track, and manage seats using a single administrator console. Plus your company can continue to purchase perpetual licenses the way it always has. Support employees that want to work on multiple devices and in any location with online services that let users create and export PDFs from Android and iOS devices or any browser. Ensure all users are working with the latest version of Acrobat, and reduce the cost and hassle of supporting multiple versions across your organization. Keep upfront costs low, and make software budgeting more predictable with one annual license that covers all your Acrobat seats. Get new Acrobat services and features as soon as they’re released at no additional cost—no more tracking upgrade eligibility or budgeting for new versions.